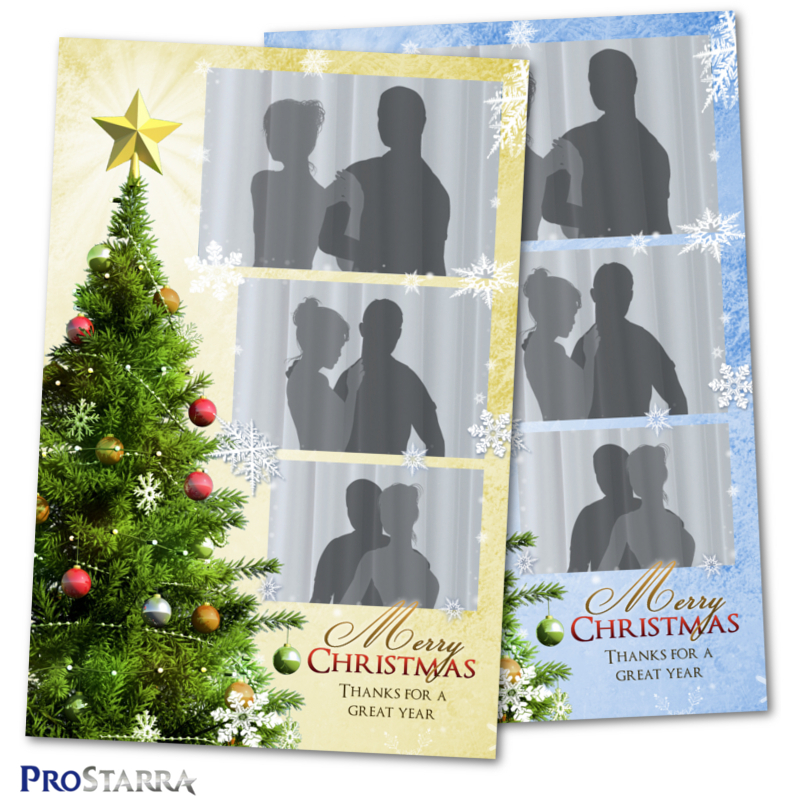 Delight your photo booth guests with this fun, festive template design. 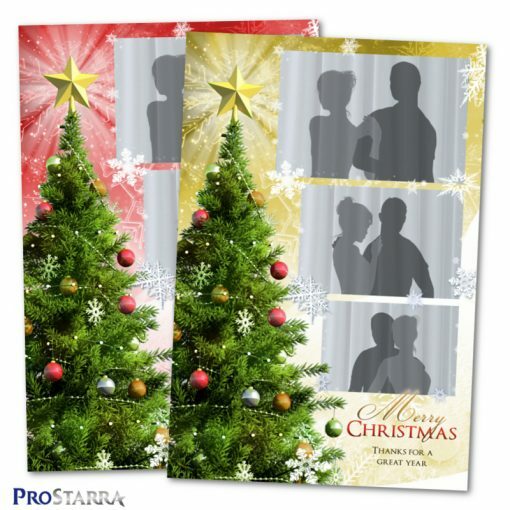 The template comes with a number of interesting elements including one of the tree branches and a number of snowflakes slightly overlap the edges of people’s photos – immersing them in the holiday print. 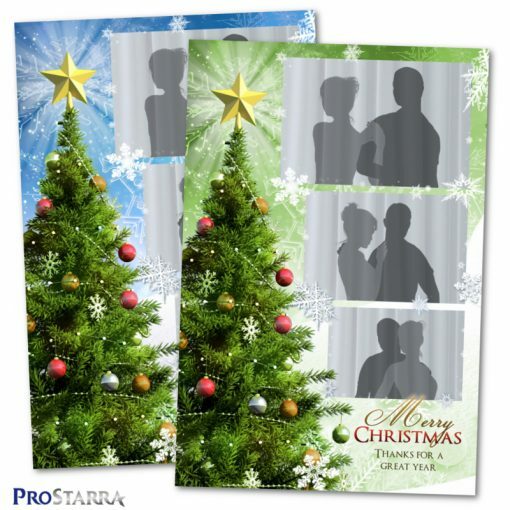 The template comes in 6 different colours with 2 different background textures. 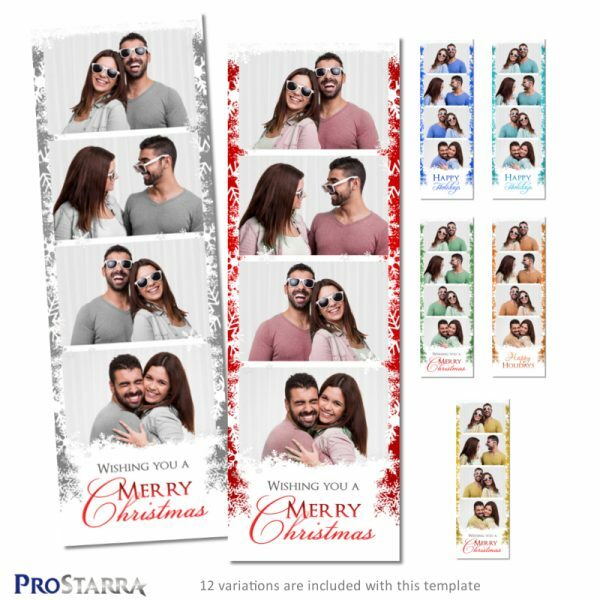 You can avoid Photoshop with this template if that’s not your thing, as it comes with a ton of ready-to-use overlays that you can drop right in to your photo booth software. If you do like to use Photoshop, we also include a fully organized, layered PSD file along with a Photoshop Elements. 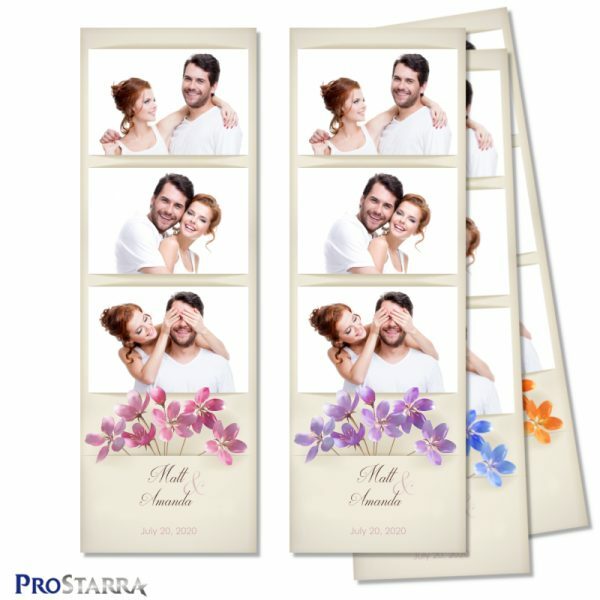 The template works in dslrBooth, Darkroom Booth, Breeze systems, and in many other photo booth software systems. For a lot of people, editing images in Photoshop isn’t their favorite thing. 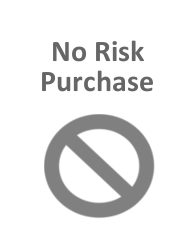 If this is you, we’ve got you well taken care of. 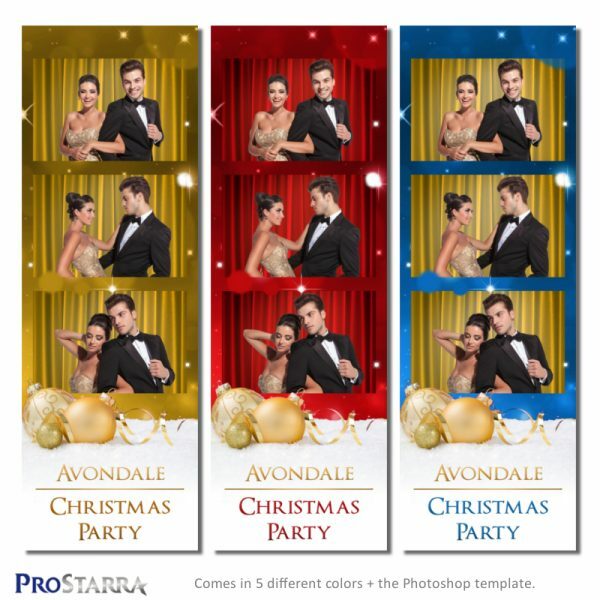 This template comes with 13 ready-to-go overlays in different colors and background textures that you can load into your photo booth software and be up and running super fast. The colors included are red, green, gold, blue, cyan, and purple. 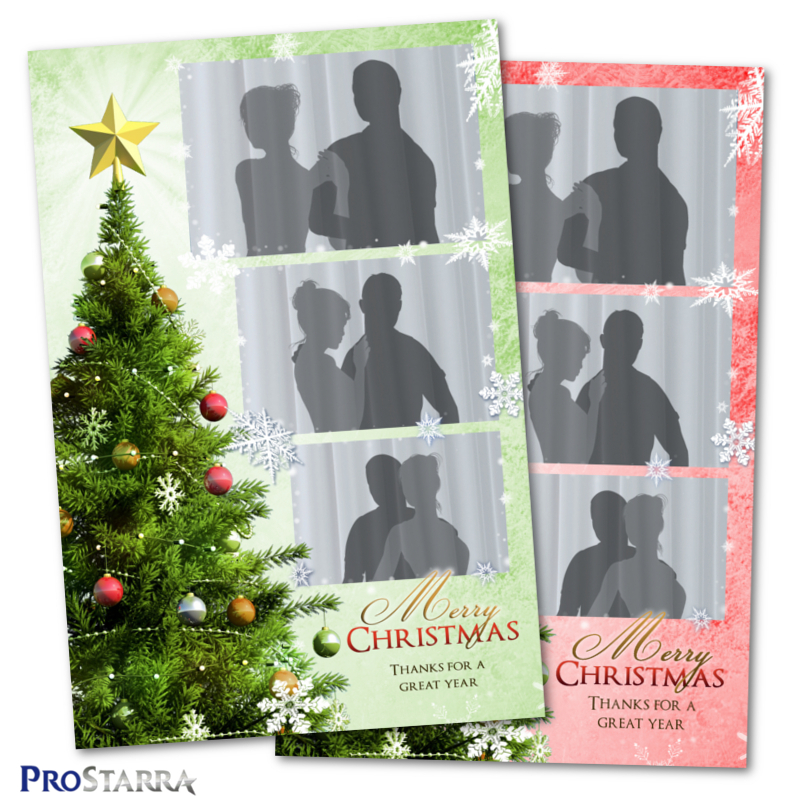 We’ve also included 5 overlays with a “Merry Christmas” message so that you can instantly use these templates without ever touching Photoshop. All fonts used in this template are available for free commercial use, and we provide you with links so you can download them for free.